August | 2014 | Welcome to the RW Carbon Blog! BMW Introduces Their Newest Bulletproof Bimmer! 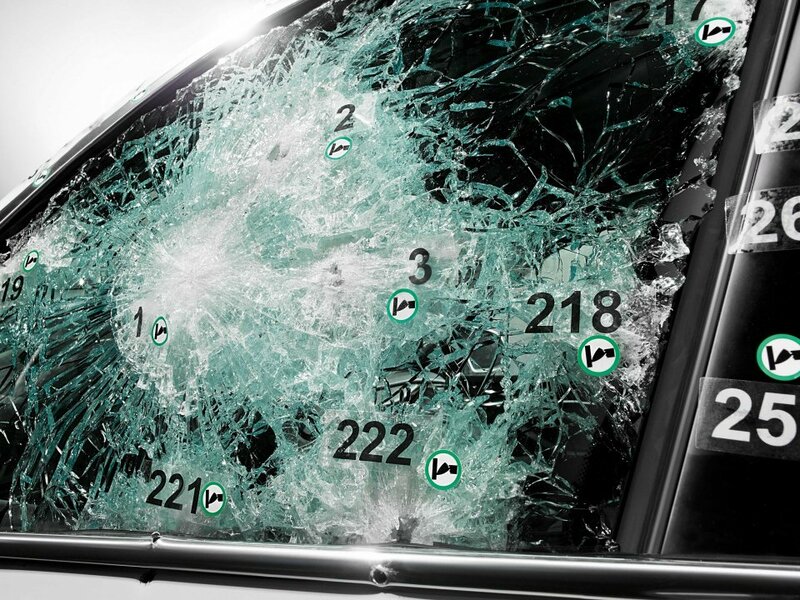 Amazingly the windows and doors stopped all high caliber bullets fired from various rifles and machine guns making this a vehicle imprevious to organized crime, violent assault, and kidnapping. As always the BMW X5 is powered by a twin-turbo V8 that is needed to lug around all the extra pounds. 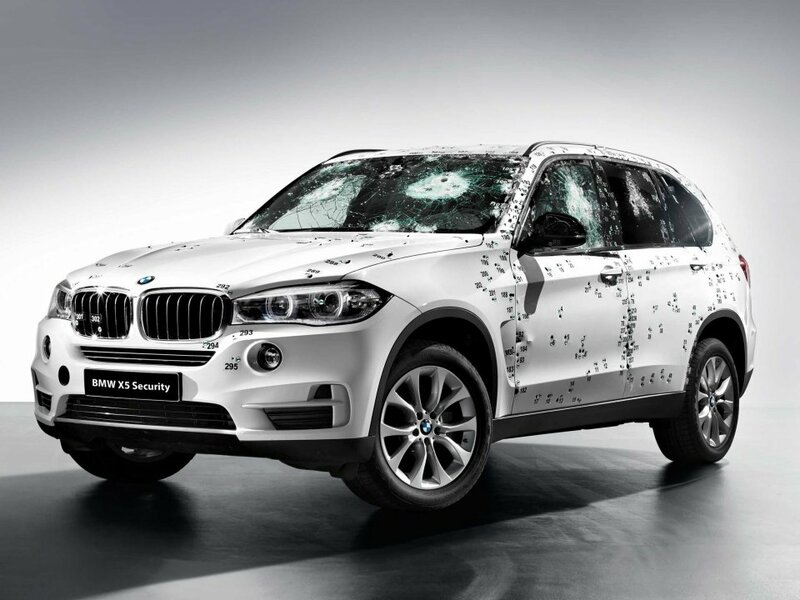 If you need the best in protection for yourself or your family go with a name you can trust, the BMW Security X5! Ever since the inception of the 2 series the die-hard enthusiasts have been left to wonder, “What about an M2?” Wonder no-more you M buffs! 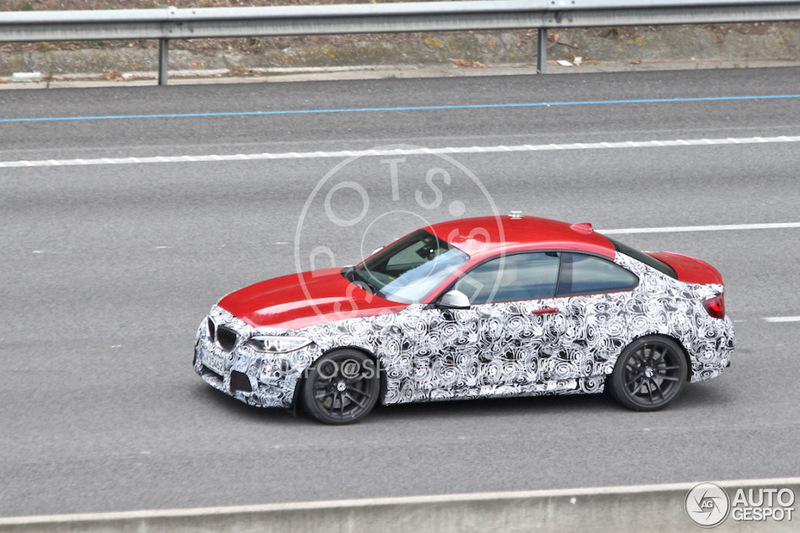 Thanks to some detective work over in Germany we have spotted the BMW M2 test mule in all its’ camo (Seen below). While this picture does leave something to be desired we can be sure that the final production M2 will wear upgraded body panels, brakes, and be powered by the beloved N55 twin-power turbo engine. We can only speculate as of now as to BMW’s use of carbon fiber in the final production version – But all of us at RW Carbon hope they incorporate it into this model in the forum of lightweight panels, and a carbon fiber roof. A total of 52 M Cars and one Epic course! 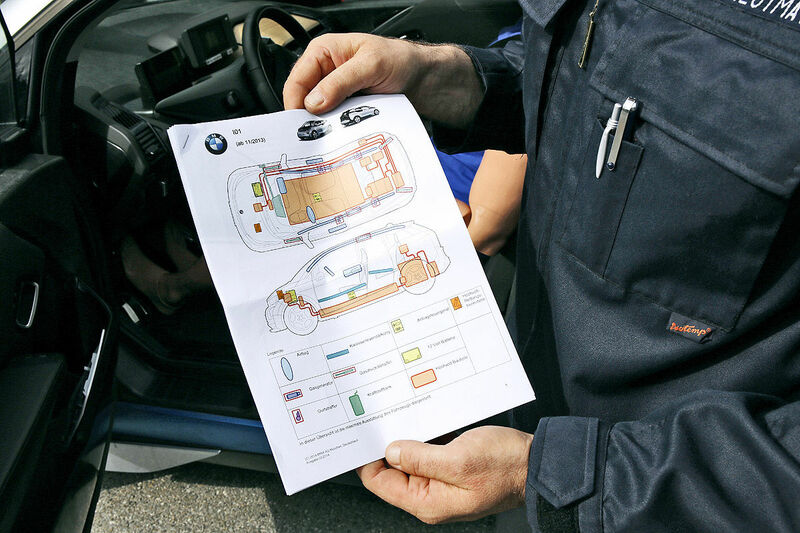 Take a look at what BMW USA has put together this time. Do you think you can drift flawlessly in and out of this many M cars without leaving a scratch? Might want to leave it to the professionals for this one. Take a look at this short video of some of the best driving I have seen in a while. Your eyes are not perceiving you, there really is a new carbon fiber wheel in production and from who else other than Koenigsegg. Their name meaning “to take action” is perfectly displayed to the public, being the very first ones to conquer such a feat. To most car addicts when the name Koenigsegg is heard the words iconic, revolutionary and visionaries all come to mind. They are continually pushing the physical limits in order to create a perfect blend and form and function. Koenigsegg was first put on the hyper car charts with their Koenigsegg CC85 back in 2002 and since then have continually upped the ante with new revolutionary designs and concepts. Throughout their history, carbon fiber has become more and more apparent in the construction of their super cars. Carbon fiber being the primary material used to construct the all new Koenigsegg one, which is being named the first “megacar”. This is the very car in which Koenigsegg decided to reveal their all new carbon fiber wheels. They are only developing and designing 6 unique production cars under the One:1 program. This very well might be one of the most exclusive production cars to date, but with an astonishing horsepower to kilogram weight ratio of 1:1, these carbon fiber wheels might just be the beginning of a new wheel era in the super car world. It maybe hard to believe that carbon fiber, even though a very rigid material, has the strength to withstand the brutal punishment a hyper car or even a mega car can dish out. Well this is not the same carbon fiber that you will see in RW Carbon’s trunk spoilers and rear diffuser. It is called “pre-preg” carbon fiber, and it is the same material that is used in Forumla One, Fighter Jets, and yes, even the Space Shuttles. This “pre-preg” carbon fiber is the most resilient carbon fiber known to man. Koenigsegg’s carbon fiber wheel is built as 1 single unit of this carbon fiber besides a tiny metal air valve. Incredibly, as the wheels are hand made, each one is perfectly counterbalanced to ensure no weights are needed. In the end each wheel is 40% lighter than most forged aluminum wheels and weighing just under 6 kilograms (13.2 pounds). Koenigsegg Aircore™ carbon wheels with center locking. Take a look at the latest episode of of Inside Koenigsegg from YouTube channel /Drive, Koenigsegg CEO and founder Christian von Koenigsegg shows us the ins and outs of making a wheel out of carbon fiber. Christian von Koenigsegg goes on to explain how carbon fiber wheels are superior to the typical forged aluminum wheels that other super cars use. 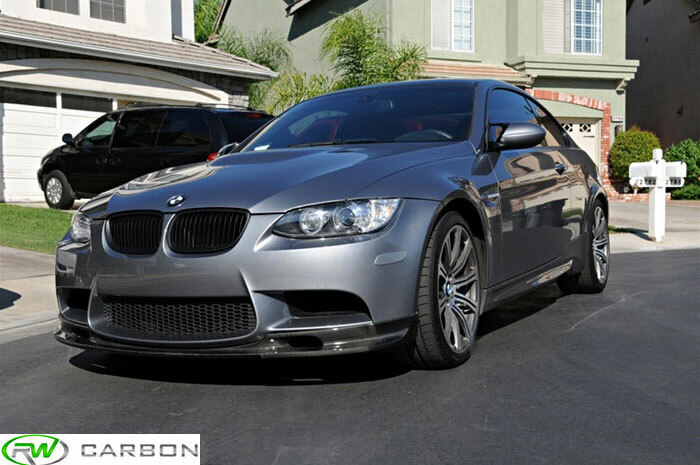 Get your BMW E9X M3 3D Design Style Parts from RW Carbon! 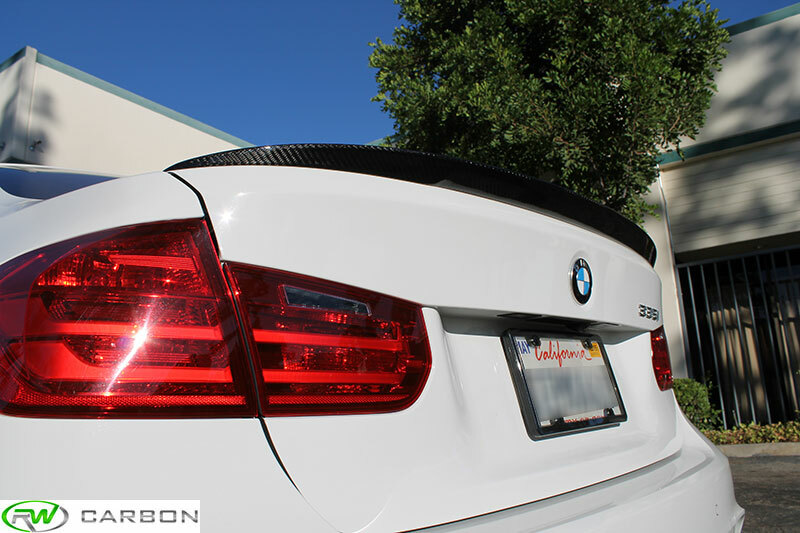 RW Carbon is not stocking the Carbon Fiber 3D Designs Style Front Lip Spoiler for the BMW E9X M3 and the Carbon Fiber 3D Designs Style Rear Diffuser for the BMW E92 and E93 M3. 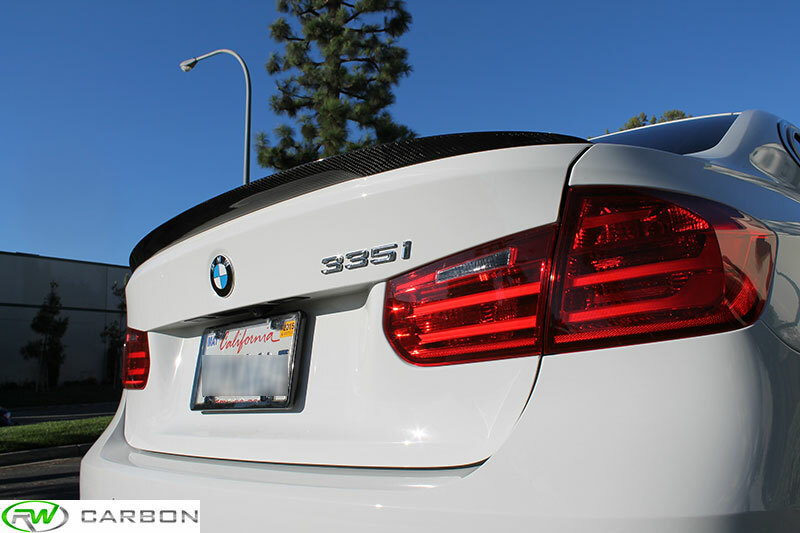 Both come in 1×1 carbon fiber to match your roof and are a great addition to any BMW E90 sedan, E92 coupe or E93 convertible M3. Each piece is professional crafted using the finest carbon fabrics and a precise combination of carbon and resin for the best strength to weight ratio. After construction they are then given a thick clear coat. 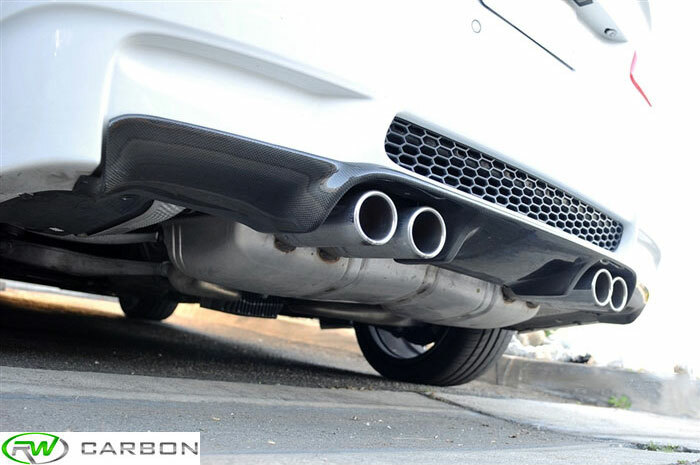 This process gives your front lip spoiler or rear diffuser a deep mirror like shine and helps to protect it from rad debris and fading that is caused by the sun. RW Carbon then quality controls every piece before they are shipped out to ensure a near perfect part. We pride ourselves on customer service and quality, standing behind every product we sell 100%. 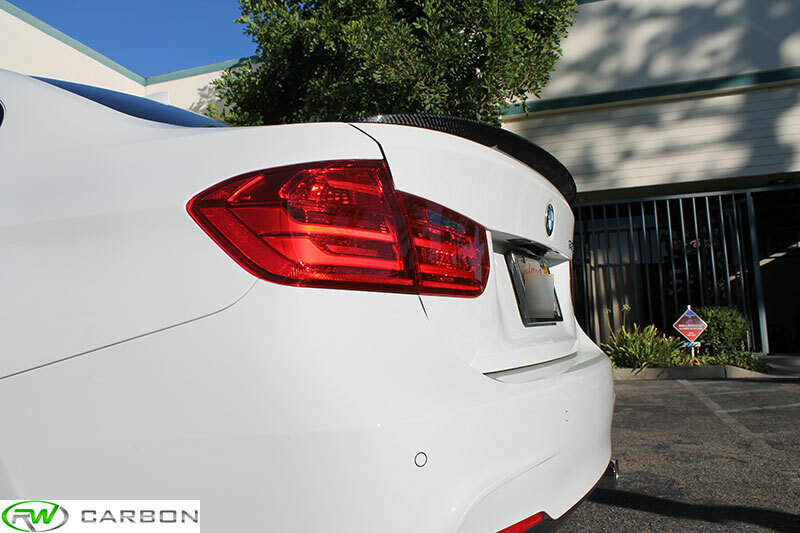 RW Carbon had the pleasure of installing our BMW F30 Performance Style Carbon Fiber Trunk Spoiler onto this gorgeous BMW F30 335i in Alpine White. 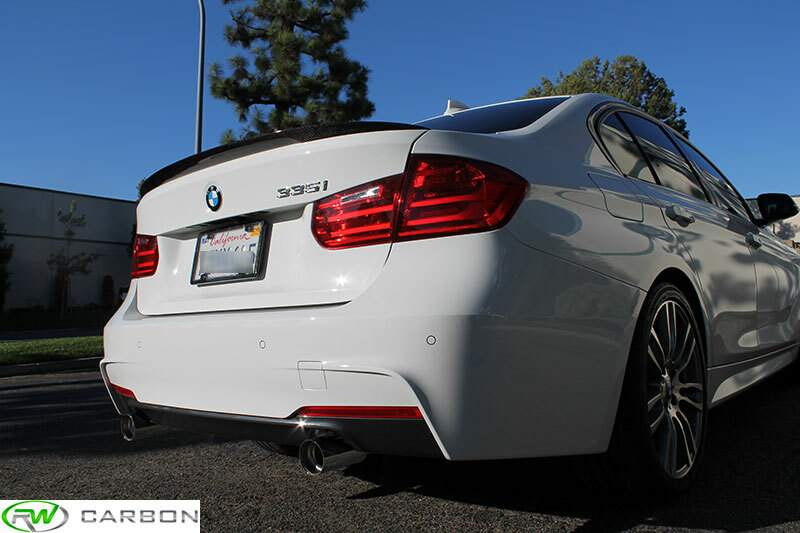 He has many plans in the works already for his 335i like a BMW F30 carbon fiber performance style front lip spoiler, carbon fiber side skirt extensions and the new BMW F30 performance style rear diffuser. Enjoy the photos. 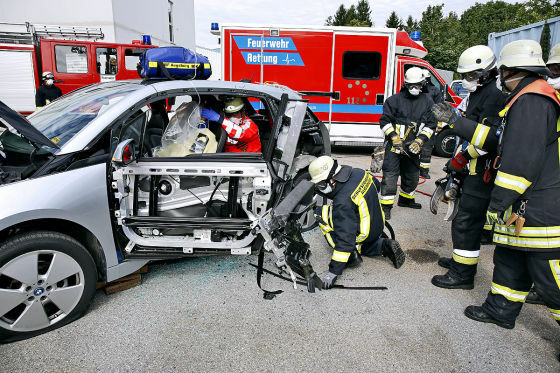 As more and more car manufacturers are now incorporating carbon fiber into vehicles present day, the German firefighters got the OK to go ahead and test different rescue methods on the new BMW I3. 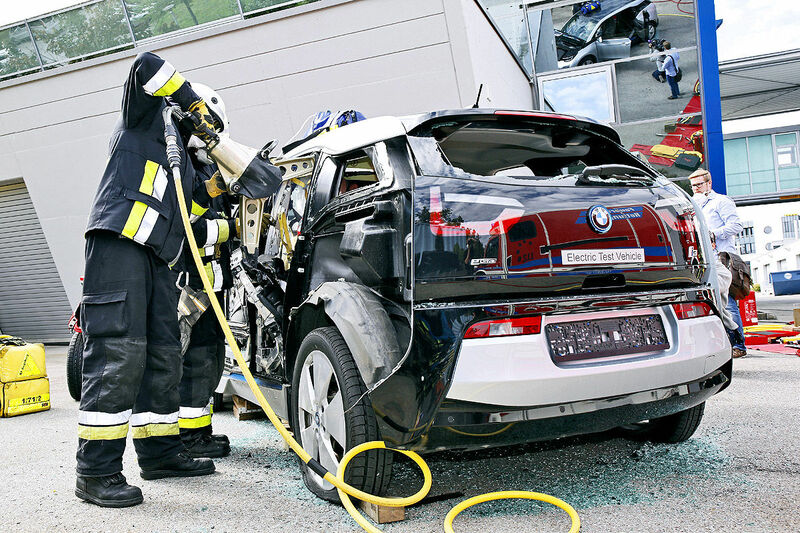 As some of you may know the new BMW I3 has a carbon fiber shell as opposed to aluminum so this requires a different mode of attack when attempting to free a trapped passenger. While carbon fiber is stronger than steel in some ways it posses a unique problem in that when cutting carbon fiber body panels apart a toxic dust will be emitted. To combat this and keep both the emergency workers and passengers safe from this cancer-causing dust both must wear special protective masks. 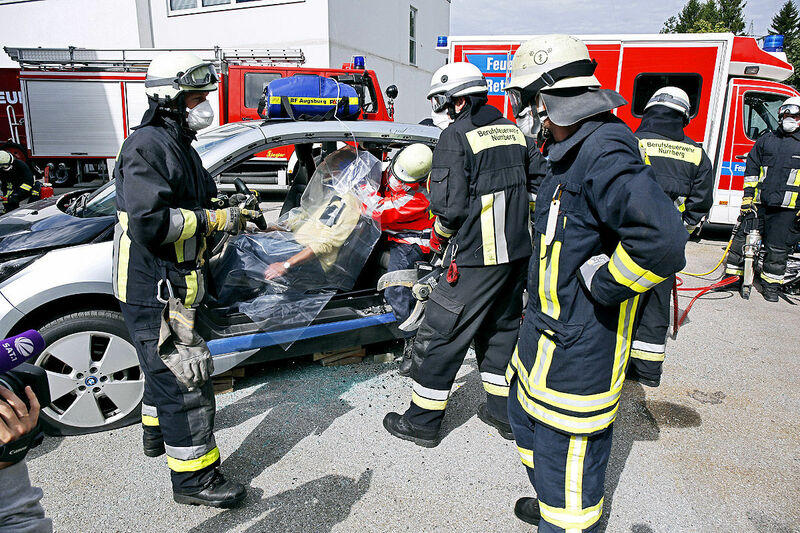 As BMW ushers in the next level of technology with the use of carbon fiber in passenger vehicles first responders must also take heed on where to cut and where not to cut the carbon fiber shell. 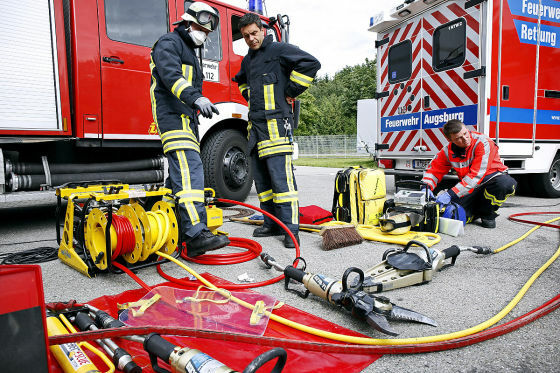 Carbon Fiber also challenges rescue workers in the fact that steel sheers relatively cleanly, where carbon fiber shreds – and those shreds may still prevent passenger extraction. We compare this to trying to cut fabric with dull scissors, it won’t cut nicely. Workers must also be careful to not cut into high voltage power supplies that the I3 or other hybrid and electric vehicles may have. While RW Carbon does not manufacture car chassis we do have you covered for all your aftermarket carbon fiber parts needs! The diagram seen below details to emergency workers where to cut in chassis of the vehicle. It outlines important areas such as electric components and supply wires that workers must take heed of.